The vast majory of the Tamdakht meteorites recovered were found in the shape of fragments. About 90 percent in weight of the material collected on the strewn field until mid March showed at least one broken surfaces but most had more than one. Many pieces displayed only small patches of fusion crust, some none at all. The abundance of fragments can be explained to a great extent by the rocky terrain in which the meteorites fell. But not all. Fragments were reportedly found as single masses with no other masses in the closer surrounding. Other fragments were found on silt benches of dry river bids where they had impacted centimeters into the soft soil without suffering further damage. Therefore at least one other cause must be considered for the abundance of fragments versus only a few complete individuals. 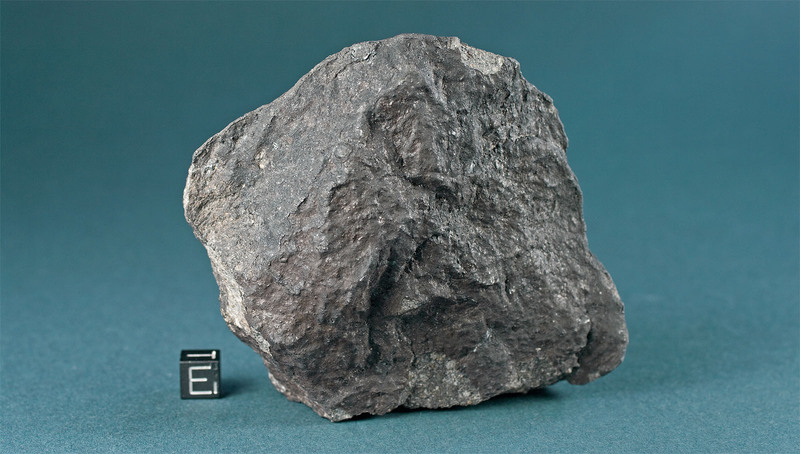 The 661 g individual (Anakhsa 03) pictured above is among the few complete or nearly complete individuals recovered from the Tamdakht meteorite strewn field. Anakhsa 03 was found several weeks after the fall near the hamlet of Anakhsa. It shows only minor signs of terrestrial weathering and is insofar a lucky find as it provides evidence for a fragmentation of Tamdakht meteorites at the final stage of the hot flight. With one surface smoothly ablated and covered with thick primary crust and the opposite surface covered with thin secondary crust it is obvious that the meteorite broke apart in flight already once. But there is also a third surface displaying a texture caused by a final break up towards the very end of the ablation phase. This particular surface bears traces of frictional heating in the shape of thinnest tertiary fusion crust on edges and protrusions. The major part of this surface is unaltered except from a general darkening caused by a brief period of heating unsuffcient to melt the complete surface. The heat darkened zone is of coffee brown colour and can be easily distinguished from unaltered light grey patches where fusion crust chipped off on impact. 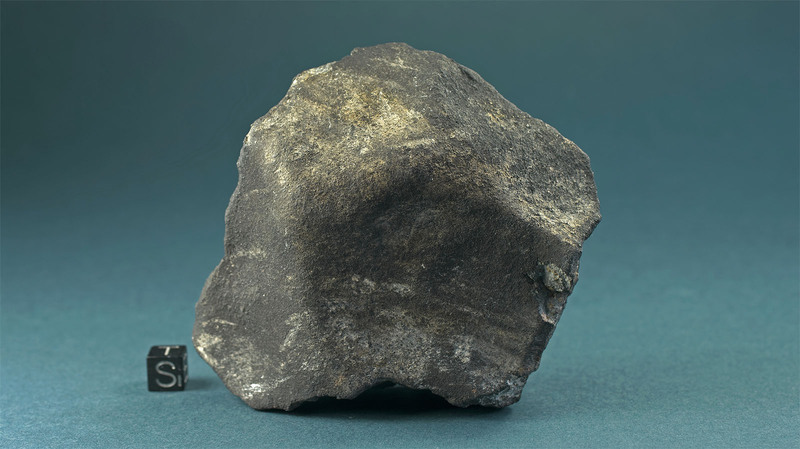 Given the evidence provided by the 661g Tamdakht (Anakhsa 03), it can be assumed that fragmentation of single Tamdakht meteorites continued to the end of the ablation phase and beyond. This resulted in a number of meteorites that fell to he ground as fragments only partially crusted. Although more masses shattered when hitting coarse gravel, larger boulders and rock outcrops as they fell, fragmentation on impact is not the only reason for the predominance of fragments and the small number of fully crusted individuals. On February 26, 2009 the final classification results of the Tamdakht meteorite were approved by the Nomenclature Committee and subsequently published in the data base of the Meteoritical Bulletin. 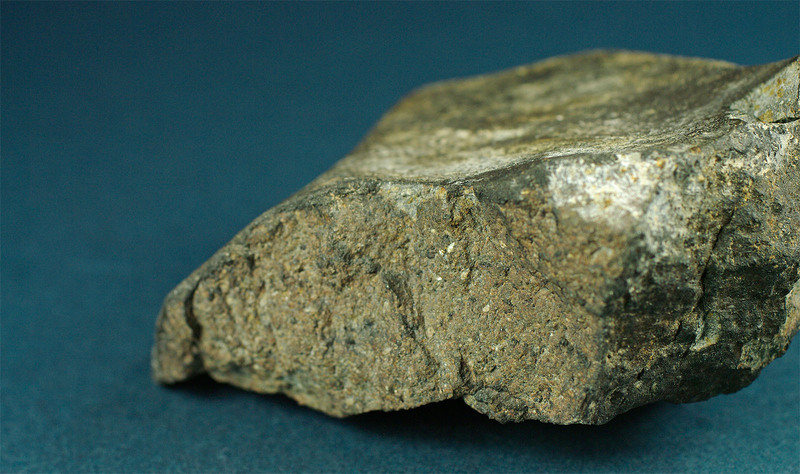 Tamdakht is an ordinary chondrite (H5) with a shock stage of S3 and a weathering grade of W0. The complete entry in the data base of the Meteoritical Bulletin can be found by cklicking here. 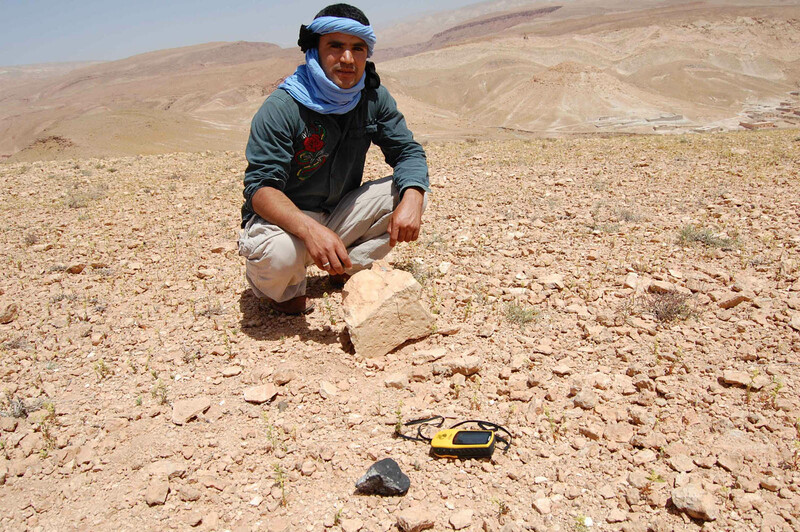 We will continue to report information on the Tamdaght meteorite fall here and we appreciate any assist from Morrocan meteorite enthusiasts providing images from the field and information on further finds. Special Thanks to Mohamed Aid for educating local finders to preserve impact sites for in situ photographing, for documenting finds and providing GPS data and measurements for this account.